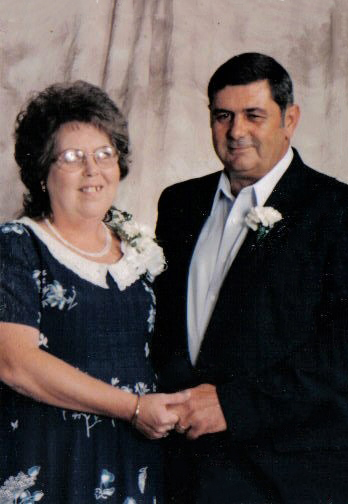 Freda Lynn (Mills) Pridemore, age 71, of Artemus, Kentucky departed this life on Thursday, April 4, 2019 at Baptist Health Hospital in Corbin, Kentucky. She was the wife of Benny Pridemore and daughter of Clarence and Lillian ‘Daisy’ (Jackson) Mills, born to them on April 27, 1947. Freda was a member of Brush Creek Community Church and a homemaker. She was preceded in death by her parents Clarence and Lillian ‘Daisy’ Mills. Left behind to mourn her passing are her loving husband Benny Pridemore, sons Jeffrey Pridemore and wife Heather of Lawrenceburg, Kentucky, Mark Pridemore and wife Ronda of Woodbine, Kentucky and Jamie Pridemore and wife April of Corbin, Kentucky and daughter Rita Delacruz of Texas, grandchildren Aster Mills, Chris Delacruz, Marrisa Delacruz, Tucker Pridemore, Christina Saylor, Tosha Cureton, Shawn Pridemore, Emily Pridemore, and Bailey Pridemore, great grandchildren Meighan Mills, Matthew Mills, Parker Thomas, Colton Vanover and Easton Pridemore, sister Virginia King and husband Hampton of Artemus, Kentucky. She is also survived by many relatives and friends to mourn her passing. Funeral services for Freda Lynn (Mills) Pridemore will be held on Monday, April 8, 2019 at 2:00 p.m. in the Cobb-Hampton Funeral Home Chapel, with Reverend Josh Collins and Revered Glenn Collins officiating. Burial will follow in the Sutton Skinner Cemetery at Woodbine, Kentucky. Cobb-Hampton Funeral Home is in charge of all arrangements. Friends will be received at the funeral home on Sunday, April 7, 2019 from 6:00 p.m. – 9:00 p.m. and Monday, April 8, 2019 from 1:00 p.m. -- 2:00 p.m.
To the Pridemore family, the staff of Cobb-Hampton Funeral Home would like to express our heartfelt sympathy during your time of bereavement.